Bonnie Brae was still in the Wright family as late as the 1970s. As a college student I worked for a firm that did certain things for the Wrights. I do remember quite vividly, the house was most impressive with a full basement. In the basement floor there was at least one huge antique automobile, an ornate pool table beyond discription, and a one horse antique sleigh. Great post! And it was suspenseful, too! I really thought the city council and planning commission would have caved and let the poor, poor developer (and Duke) destroy yet another historic house. This time though, they "merely" destroyed an historic landscape. I just drove out Ben Franklin today. Man, is that whole area weird. And if I hadn't seen this, I would have sworn that Bonnie Brae was just another neo-colonial office building along with all of the rest of the stuff surrounding it. How terribly odd. Bonnie Brae remained in the Wright Family until Hock purchased the farm. The last Wrights to live there were Mr. and Mrs. Richard Wirght and their sons. As a teenager I used to go to Christmas Parties in the house, and hay rides through the farm. Mr. Richard Wright was a homebuilder, now retired, with Landwright Corporation. Mr. Wright's sister, Meriwether Wright Hudson lived for many years in the now razed Wilbert Davison House, designed by Charles Barton Keen, in Hope Valley. Most folks will remember the Bonnie Brae as the "Peggy Mann Estate" which was, indeed moved to Ben Franklin Blvd and made into a hotel. Anonymous of 12/31/2009 is correct. Peggy Mann's house (seen on TV) is on Cole Mill Road to this day. 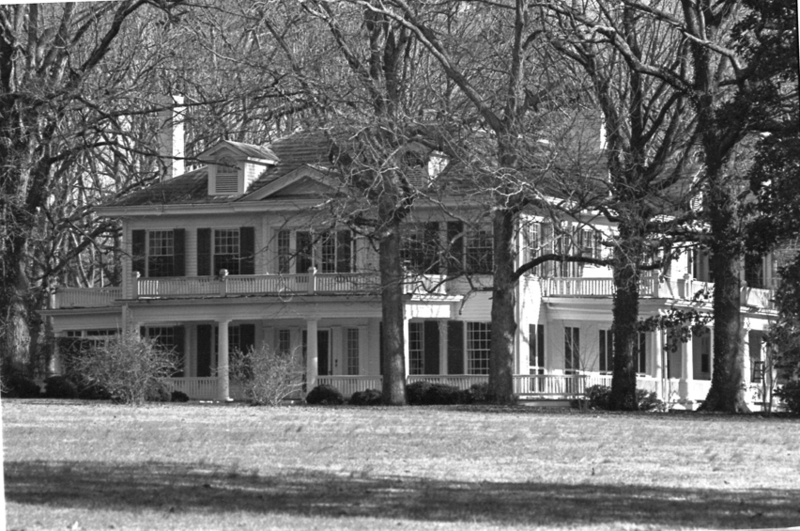 Bonnie Brae was the country house of Durham business magnate Richard H. Wright. From 1898 until 1916, Wright lived in the former EJ Parrish house at East Main and North Dillard Street, but built Bonnie Brae farm, a 9000 square foot colonial revival mansion, as a country estate for himself, his sisters, and his deceased brother's large family in 1916. The house was built with a very wide, approximately 90 foot long center hall that extended the entire depth of the house. Federal-style woodwork was installed throughout the house as part of a ~1930 remodeling. Wright was well known for the formation of the Wright and Co. tobacco company in 1875, his partnership with the Dukes in 1880 (and acrimonious divorce from the family by 1890,) formation of Durham's streetcar company - the Durham Traction Company, Lakewood Park, Durham Ballpark on North Driver St., the Wright Manufacturing Co., The Durham Consolidated Land and Improvement Company, which developed Walltown and Trinity Heights, and the Wright Refuge. Looking north, ~1960. 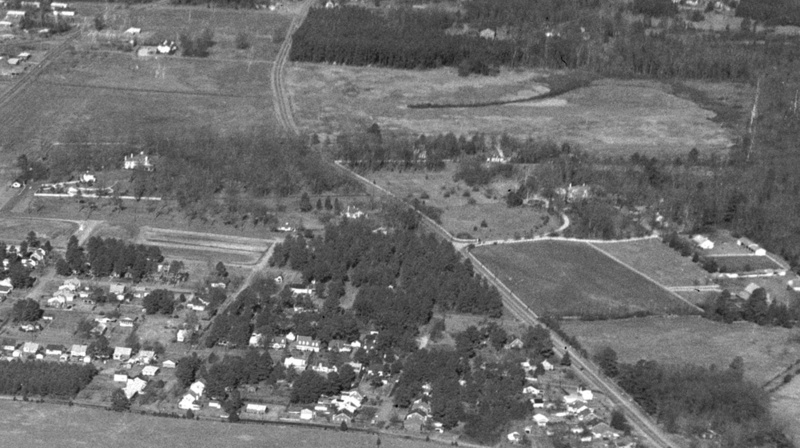 The Teer House and surrounding land are just north of the foreground development on the left, and Bonnie Brae is across Roxboro Road, to the right. Wright died in 1929 - his extended family continued to live in the house for some time thereafter; his nephew Thomas D. Wright lived in Bonnie Brae through the 1950s. I'm not sure if it remained in the family after that point, but in 1988 developer Gary Hock purchased the house and the surrounding 78 acres. Hock had been busy developing 350,000 square feet of office space around the Wright property prior to his purchase, and intended to continue the suburban proliferation upon the Wright stand. Duke University, owner of the Teer Property across the street, had evidently purchased additional land from Hock with the intent of moving the Wright house, and developing a substance abuse center. The planning commission re-zoned both properties contingent upon moving and saving the Wright house. However, once the university received an estimate for the moving and renovation costs that totaled $1.2 million, they balked at the deal. Hock and Duke brought their case back to the city council to attempt to have the stipulation to save the house removed. Hock, overflowing with affection for Durham's history, commented at the time "It isn't on the Historical Register; it's only 70 years old. "We'd like to save every old building that was big and nice looking, but it's just not practical. To have Duke bear the burden for a property that just is useless to satisfy the historical committee is just an unreasonable burden." It appears that the planning commission and city council held their ground. 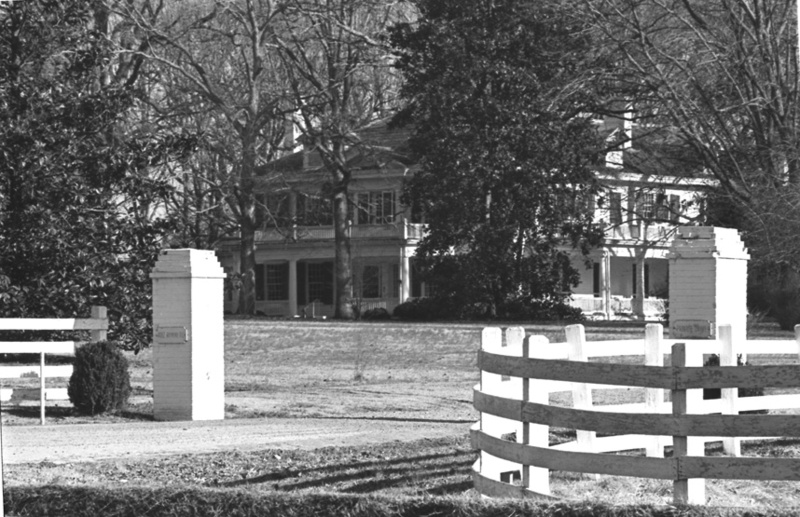 The house was removed from the frontage on North Roxboro Road; the former homesite became a mecca for home renovation. Former site of Bonnie Brae, 01.24.09. The house was saved, at least in part (the porches appear to have been removed.) It was moved ~0.5 mi east, off of the strange neo-colonial Ben Franklin Blvd. and festooned with several additions. But while fairly anonymous, it's good that this lone remnant of the domiciles of the tobacco magnates of the late 19th and early 20th century remains standing. Find the original location on a Google Map. Find the current location on a Google Map.